Every visit to Sydney should include at least one trip on a Sydney Ferry. In my view, they are the best ways to see the city on a budget if time permits consider taking a few of these ferry rides. Riding a ferry on the harbour is a quintessential Sydney experience. With eight routes and 29 wharves to choose from deciding which trip to take and where to go can be a challenge. Here are my top 5 ferry rides so you can see which one you might like to add to your plan if time permits add them all! 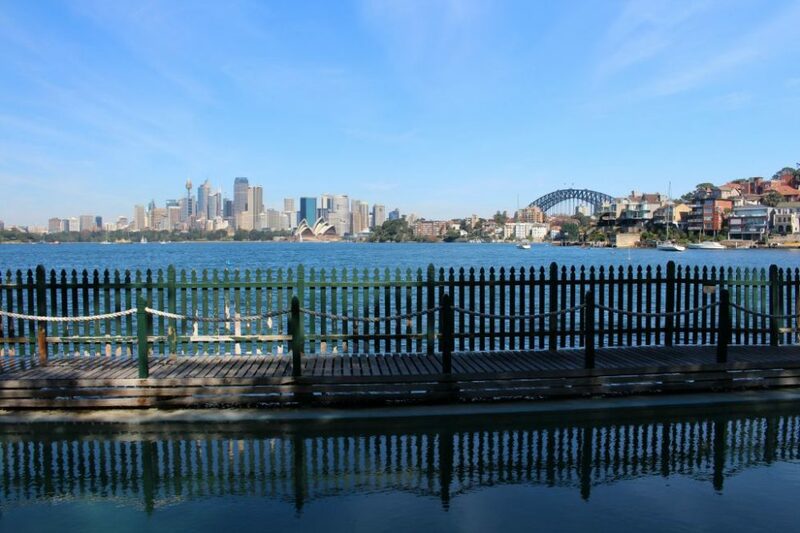 You will find five double-sided wharves at Circular Quay. Both public ferries and private ferries operate from here. The private vessels, including the Manly Fast Ferry and Captain Cook Cruises, usually operate from Wharf 6. Each wharf has indicator boards that list all the ferry stops services and which pier to go to for the next departure. Often more than one route services each wharf so it’s worth checking the boards before you head to the wharf. Both the private and public services now accept Opal cards. Sitting at the edge of South Head, Watson’s Bay is a picturesque spot with great views, quiet harbour beaches, cold Aussie beer, famous fish and chips and plenty of history. If I had to pick my favourite ferry trip, I think this might just be it. Watson’s Bay is the last stop on the F4 Cross Harbour route which is a new service introduced earlier this year when the Barangaroo wharf opened. 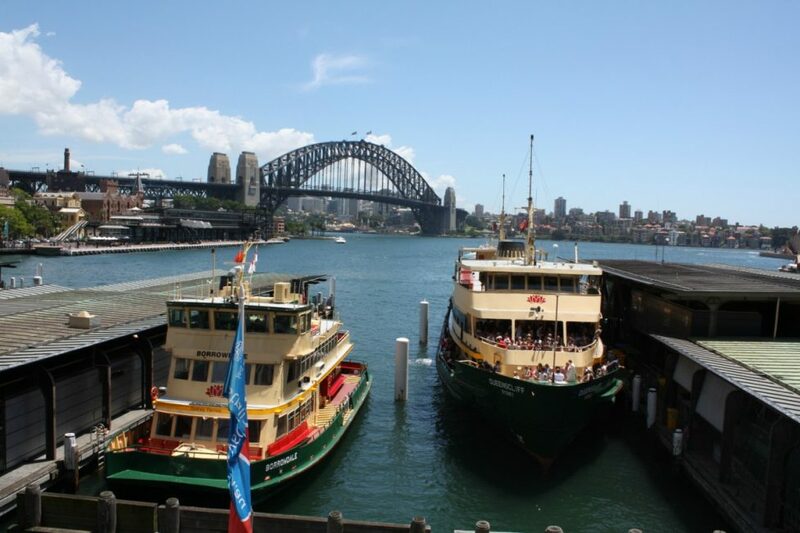 It’s an excellent service for visitors as it lets you see both sides of the harbour and joins two key Sydney sites. The full trip takes 55 minutes and departs a couple of times an hour.. You travel from Barangaroo, past Luna Park, under the Bridge, past Fort Denison and Rose Bay before reaching Watson’s Bay. Have a couple of cold beers at the Watson’s Bay Hotel, the beer garden overlooking the harbour is great. 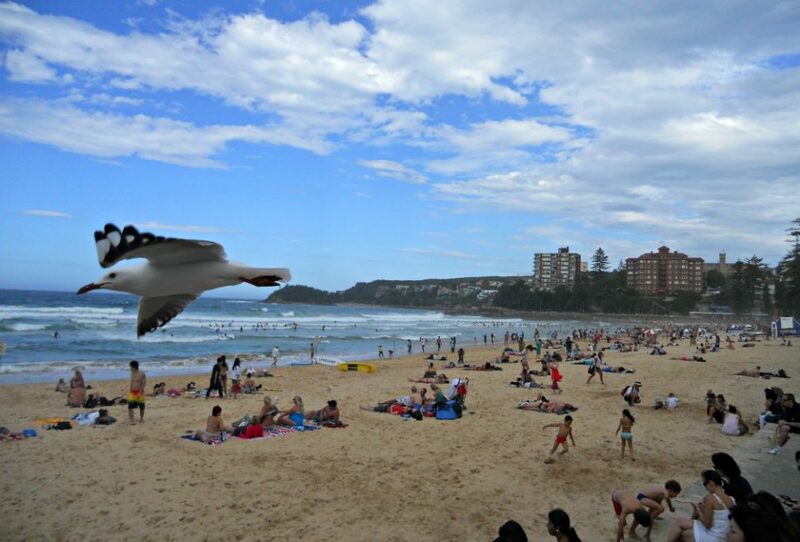 Walk along the cliff to North Bondi and take the 333 bus back to the city. 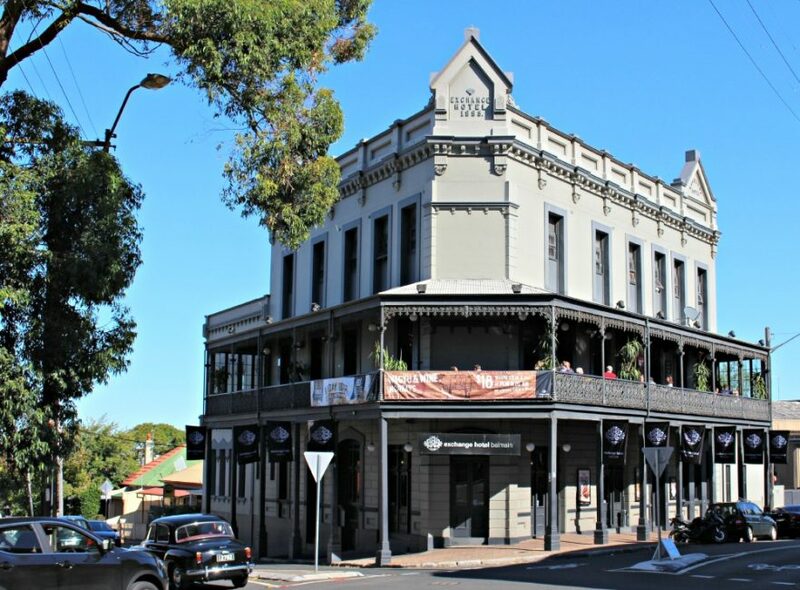 Located on the western side of the Harbour Bridge, Balmain is an older suburb full of sandstone cottages, tiny terrace houses and more pubs than you can visit in a day. Far from its early days as a working-class suburb full of dock workers and labourers these days living here is out of reach of most locals with houses costing millions of dollars. There are plenty of reasons to visit however great dining choices, lots of small shops and boutiques and interesting architecture are enough to warrant a few hours of your day. There are three ferry wharves in Balmain so make sure you have a map and work out which one you want to get off at. It’s just a 10-minute trip from Circular Quay and worth a walk around to see another side of Sydney. Have an icy cold beer at one of the many old pubs in Balmain. This very short trip across the water will take you past the Opera House and Fort Denison to the Northern shores of the Harbour. There are two wharves in Cremorne I suggest you get off at the first one Cremorne Point and take the foreshore walk around to the Mosman Rowers club. 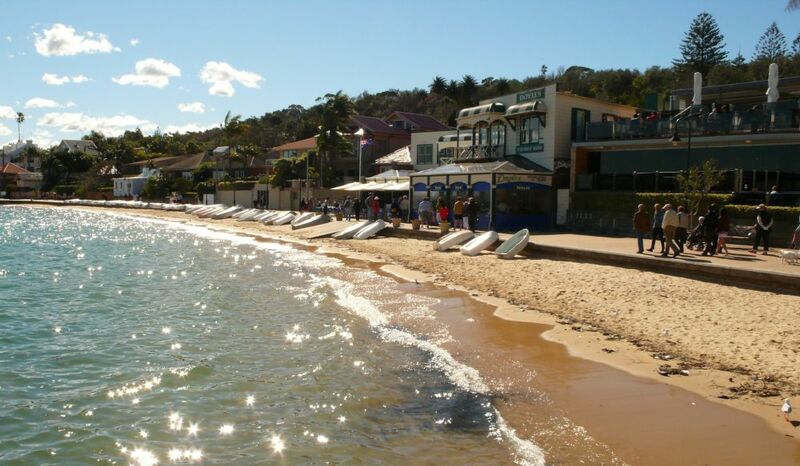 Stop in for a drink or even lunch before continuing to Mosman where you can catch a ferry back to the Quay. The ferry to Abbotsford will have you heading under the bridge and up the Parramatta River. Only a 30-minute trip and eight stops from Circular Quay this area is worth exploring if you have already visited all the top sites. It makes a lovely afternoon trip especially if you time it, so you are heading back to the city at sunset. You can stay on this ferry all the way to Parramatta and explore Sydney’s second city. The Parramatta ferry stops at Cockatoo Island, before heading under the Gladesville Bridge and into the Parramatta River and on to Drummoyne, Bayview Park, Kissing Point, Meadowbank, and Sydney Olympic Park. 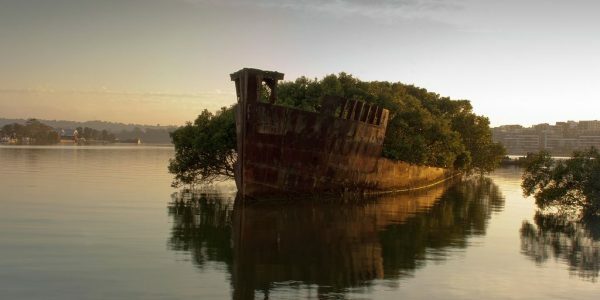 Keep your eye out for the wreck of the SS Ayrfield in Homebush Bay. Ok so I saved the best-known ferry ride till last, hopefully, to encourage you to add one of the earlier ones to your itinerary ; ) The 30-minute ride across the heads to Manly is a must. This harbour and beachside suburb has been a playground for Sydneysiders since the 1880s. At this time the Port Jackson and Manly Steamship Company coined the phrase “Seven miles from Sydney and a thousand miles from care” to promote its ferry service from Circular Quay. Today this short trip can still make you feel far removed from the hustle and bustle of the city. 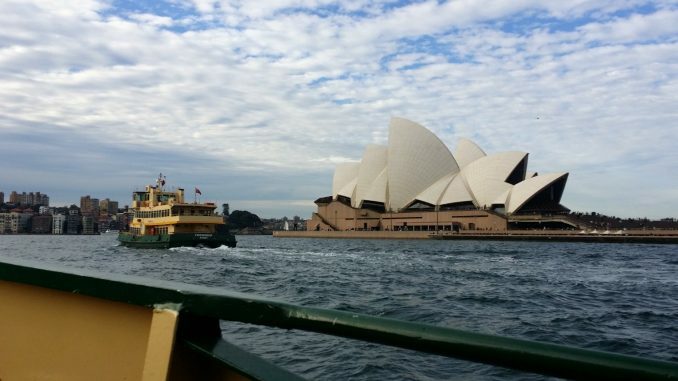 Need more help deciding which Sydney Harbour tour is best for you? Join our Sydney Expert Facebook Group where you can ask questions, stay up to date with what’s happening in Sydney and meet a bunch of friendly locals just waiting to share their advice!